High quality sound doesn't have to come with a high price tag, we have all of the top brands at the best prices to help all musicians find what they need. Our online store offers brands such as Yamaha, Medini, Merano to help beginners get started or to let seasoned professionals hone their skills. Read latest trumpet reviews and find out whats hot what not in the wonderful world of brass. 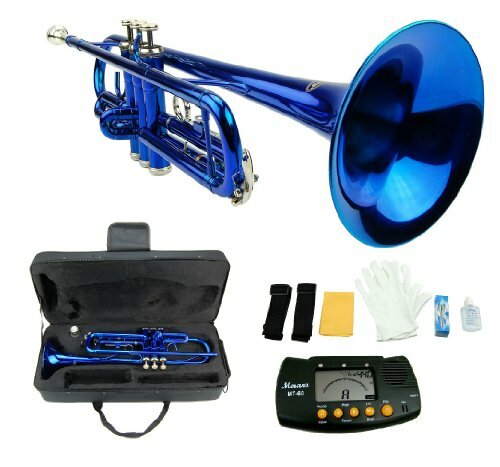 If you are unsure what trumpet to buy then why not utilize our impartial advice to find out about the best discounted trumpets, which brands are best and where's the best place to shop. The Merano B flat is a unique beginner trumpet because of its amazing crisp sound. 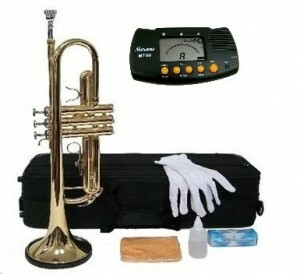 This trumpet has been specifically designed for beginner horn players to help them get to grips with a new instrument. If you are looking for a trumpet to get started with then look no further than the Merano B flat. 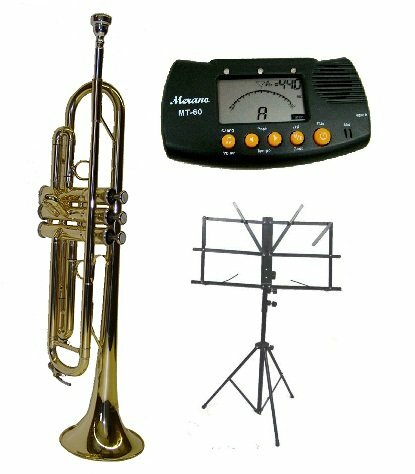 Merano B flat trumpets are often used and recommended by music tutors and schools because of its great sound and ease of use. This trumpet will help you stand out from the rest of your band mates, the sound is much richer than other beginner trumpets out there and it has a much sleeker look. If you are looking for a stylish B flat trumpet then this Merano is ideal for you. The Merano B Flat trumpet is the perfect starting trumpet for any budding musician it comes with all a beginner would need and is the easiest to get to grips with. You might find when first playing this great instrument that the valves are a bit stiff, this is perfectly normal so there is no need to panic they will become less stiff after a couple of uses or you could just apply your own valve oil. Most student trumpets cost a small fortune but this is not the case for the Merano B Flat.